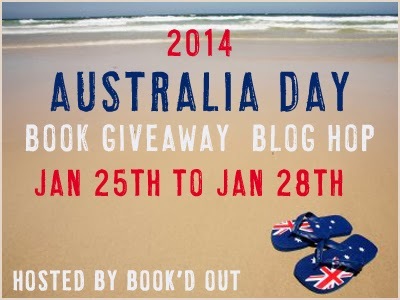 Winner of the 2014 Australia Day Giveaway Blog Hop! Thanks to all for visiting Triclinium and participating in the Australia Day blog hop giveaway. I’m delighted to announce that Sharon has won a Kindle copy of Kate Morton’s The Shifting Fog, and ebook editions of M.K. Tod’s Unravelled and my own book, The Golden Dice: A Tale of Ancient Rome. As a special treat for all those that entered the giveaway, I would like to offer an ebook edition of The Golden Dice as well. Please email me to claim a copy at elisabeth@elisabethstorrs.dev. Many thanks to M.K Tod for agreeing to be interviewed for the blog hop. I loved learning about your sources of inspiration. I’m looking forward to the release of Lies Told in Silence. A big thanks also to Shelleyrae at Book’d Out for organising the hop once again! I recommend reading her blog for wonderful reviews and giveaways throughout the year. Can’t wait for Australia Day 2015!